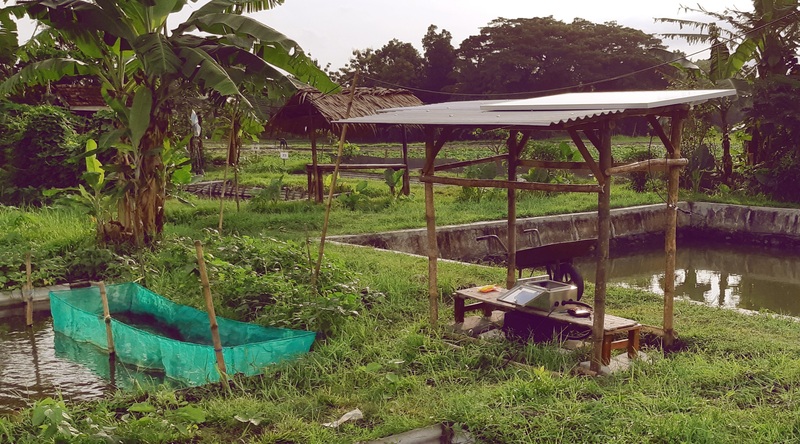 Apollo provides electricity access using modularized PV and monitoring devices for any agricultural technology that can improve the livelihood, productivity, harvest quality, and quantity, and optimize the earning of farmers. Team Apollo is a multinational and multi-university team with experts in power converter design and PV technology from NTUST, NTU, and NIU. We have a collaboration with UGM and MINO for the microbubble technology. Our goal is to improve the livelihood of farmers, improve their productivity, harvest quality, and quantity, and optimizing their earning. We are developing a modularized PV and monitoring devices for big and small farmers in a rural area who don’t have electricity due to faraway location or insufficient and/or unreliable electricity. We have validated that our solution is needed by big and small farmers in a rural area. So, we are using cross-subsidy model to provide the modularized PV (consists of PV and a power box), battery, and monitoring devices for big companies and frugal modularized PV and battery for small farmers. With little personalization of the offering and payment, we believe that this solution could help small farmers to gradually improve and eventually compete on a bigger scale. This solution allows farmers to upgrade the power as they need, to use the PV for suitable AC or DC machine, to give sufficient and reliable electricity, to move the PV as necessary, and to buy with affordable price. With this technology, farmers can have access to services such as water pumping, water waste treatment, phone charging, lighting around their farm, and many more. These services can solve the low dissolved oxygen in the water and toxins with our technology, and shooing predator with proper lighting. Farmers can build deeper ponds to grow more fish instead of acquiring more land and increasing the quality and quantity of the fish with a quicker harvest cycle. The research from MINO Microbubble shows that farmers could increase fish production by 40% and could increase the harvest cycle from twice a year to three times a year.